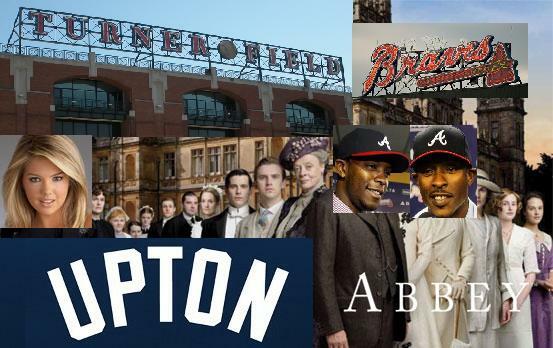 I have been running this Upton Abbey feature on this site since April. Brendan helped me with the name, and I created the headline graphic that has accompanied each post. Readers with a careful eye have noticed that that graphic includes B.J., Justin, and Kate Upton. While the SI editors have not expressly acknowledged this site by name, I did begin receiving free copies of the magazine in the mail a few weeks ago, which is good enough for me. The Braves begin the playoffs tomorrow night, when they host the first game of their divisional series against the Los Angeles Dodgers. L.A. had a great second half to their season, while the Braves spent September looking to regain their rhythm. Another thing they spent September doing was vigorously enforcing baseball’s “unwritten rules.” Brian McCann and Chris Johnson took the lead on this Quixotic initiative, and Braves fans certainly have to hope that their team can drop what is less than a non-issue and return their focus to the task at hand. The Dodgers look to be in a good spot right now, and late-September’s Braves will have a hard time beating them. Episode 6 – I Can See Clearly Now? Upton Abbey: Episode 6 – I Can See Clearly Now? In the midst of the worst season of his career, Braves second baseman Dan Uggla will have Lasik eye surgery that will keep him out of the lineup for at least the next two weeks. Uggla was placed on the 15-day disabled list and Tyler Pastornicky was recalled from Triple-A Gwinnett and will start Tuesday night’s game against the Phillies at Turner Field. Uggla will have surgery in two or three days, and the Braves think he’ll be able to recover quickly, play in a few minor league games and return to the active roster in 15 days or shortly thereafter. “It was a mutual decision,” said Uggla, who ranks second among Braves with 21 home runs and leads the team with 62 walks, but has the lowest average (.186) among major league qualifiers and most strikeouts (146) in the National League. “Obviously I don’t want to go on the DL whatsoever, but at the same time you’ve got to do what’s best for the team right now. The full story is available here. Uggla can be a lightning rod for criticism, and the fact that his home runs and walks are up at the same time he has baseball’s worst batting average (supplanting teammate B.J. Upton) and is leading the National League in strikeouts sounds to me like a very Uggla season. With the team continuing to be beset by seemingly critical injuries (and succeeding in spite of that), the question is whether Lasik– which sounds a bit dog-ate-my-homework-esque– can help Uggla. The idea here is that Uggla’s having trouble hitting the ball because he’s having trouble seeing the ball, and that having corrective eye surgery would improve his ability to see, and therefore hit, the ball. That AJC story includes an apparent testimonial from Uggla’s teammate, catcher Brian McCann, who battled vision problems and is having a great season at the plate this year. Fangraphs’ Chad Young thinks there’s good reason to believe that study is flawed, however. His article raises three primary issues with the study: 1) it fails to account for player age; 2) it does not place player output in historical context; and 3) it utilizes rigid, narrow sample windows. 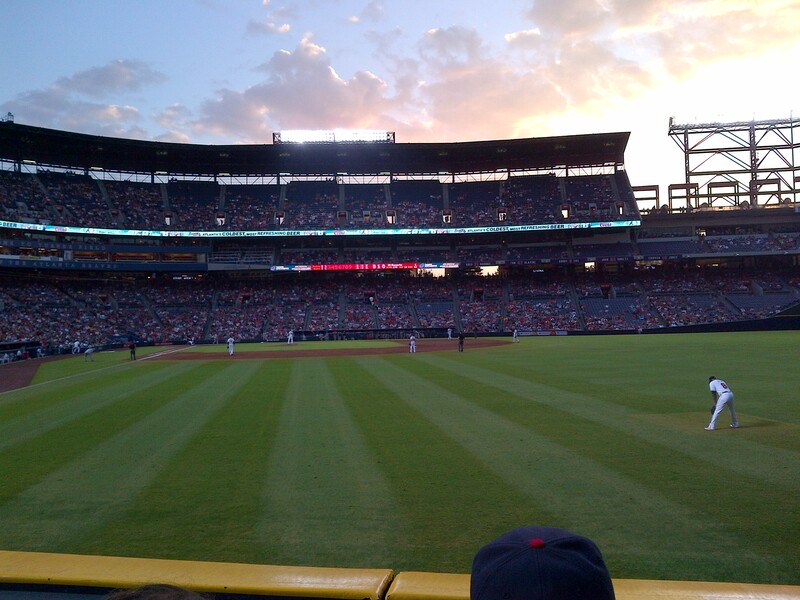 Uggla may be having trouble seeing the game right now, but we certainly did not, as our last trip to Turner Field found us in what may be the best seats I’ve ever had for a baseball game. Dinner is a popular event at the Abbey, and after last episode’s three-course meal, it seems it’s supper time again.